Simply put – we can build anything! Our master craftsmen, production technicians, carpenters, electricians, and expert detailers are careful, creative problem-solvers. We’ll find a creative solution to any challenge! 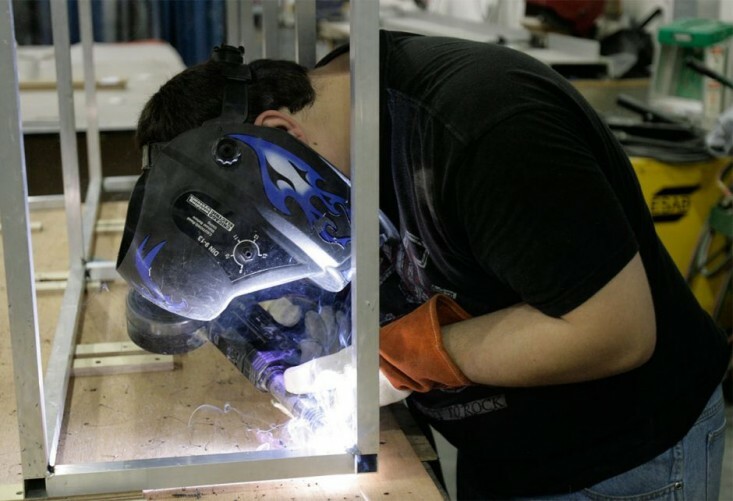 Our fabrication and refurbishing facility in Clifton Park, NY is fully equipped with state-of-the-art tools, materials, and computer-aided processes. We utilize industry-proven building techniques and state-of-the-art materials and processes to bring you the most cost-effective and innovative solutions. Careful quality control and total attention to every detail of exhibit production ensures that you get a high-quality, reliable result every time. Each exhibit component is inspected multiple times throughout the production process. And our commitment goes beyond the shop floor into our careful assembly, crating, and shipping process. We conduct a thorough pre-show setup and inspection of every exhibit component to ensure that your exhibit leaves our facility show ready.